Bletchley welcomed Hungerford to Manor Fields at the weekend; the visitors sitting a couple of places above them in the league. The home side started brightly and found themselves 5 – 0 up with three minutes played after a try from Tom Grant. The conceded try woke Hungerford up and they applied themselves well to reducing the deficit. However, Bletchley’s determined defence held firm. The supporters were treated to a game that ebbed and flowed and neither side could take advantage of either possession or territory. Bletchley should have added to their early try with 20 minutes played, but with slow ball and strong opposition defence they were denied any further points. In turn, Hungerford should have scored a few minutes later, but this time Bletchley’s pack were not to be bullied and the score remained 5 – 0 until the 39th minute of play when Reggie Njovana buried under several players to touch down. Bletchley took a 10 – 0 lead into half time, but should really have added a couple more tries to their tally during the first half. Hungerford very nearly scored shortly after the restart and it was only an excellent tackle from Jacob Lee that denied them with inches to go to the try line. The visitors pressurised Bletchley hard and with nine minutes on the clock, they were held up over the line. The home side turned over the resulting 5m scrum and played themselves out of their own half. 17 minutes of the second half played. Bletchley should have added the bonus point try with all the pressure they were applying to the visitors, but unfortunately they could not capitalise with the possession they held and Hungerford took advantage of a lapse in concentration to score a try of their own in the 31st minute and take the score to 17 – 5. With four minutes of normal time remaining, Hungerford were reduced to 14 men after a Bletchley player was taken in the air at a lineout. The home side could not take advantage of the extra man and when another try scoring opportunity went begging, Hungerford turned the ball over and scored a try of their own. The 17 – 10 score, gave the visitors a glimmer of hope of getting a possible draw from the game as the referee announced 5 minutes of injury time to play. 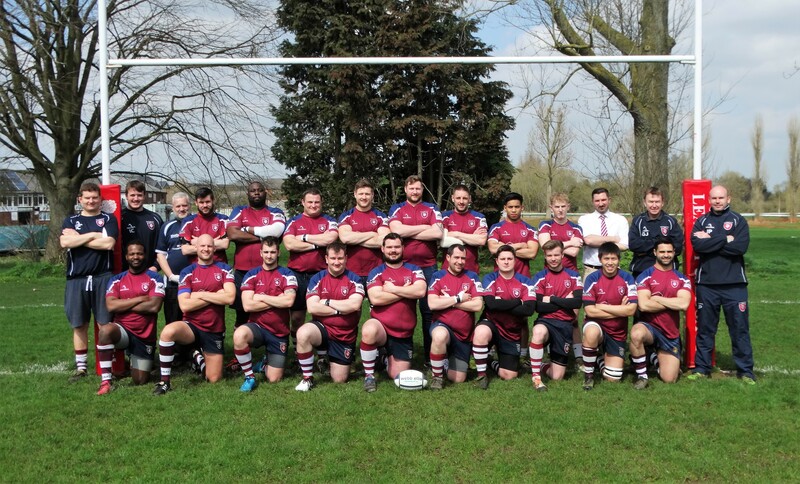 It was a nail biting five minutes for the home supporters and despite sustained pressure from Hungerford, Bletchley held on to secure the victory 17 – 10. It was a well deserved win for the home side, but they would have been frustrated that a bonus try did not come their way. Next up is the local derby match against MK and Bletchley will be hoping to pick up a few more league points in what is always a hard fought contest between the two sides.